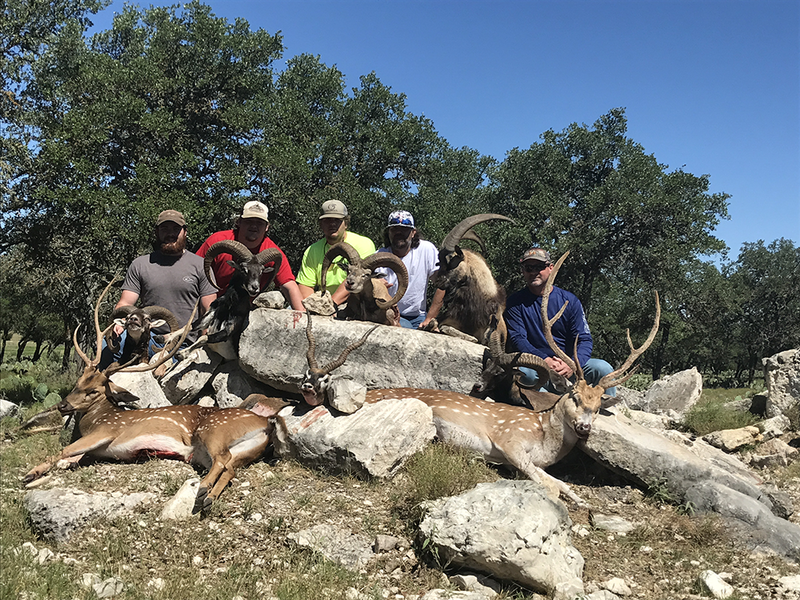 Looking for a place to host corporate hunting trips in Texas? Need a hunt for clients? Have a large group needing a hunt? BWGS has you covered! BWGS has set the industry standard for hosting corporate hunting parties. Each year we host a minimum of 10 large parties who are either entertaining clients or rewarding current employees. Although we have been praised at being the best in the business for these events, we still remain humble in our offerings and comfortability. We are not the place for wining, dining, pampering, and wiping rears. Our model is simple, we provide quality animals, comfortable lodging, great meals, and the best guides in the industry. We have come to understand what companies are looking for on these trips and make it a point to ensure that there is never an awkward situation that arises. The success of your business is the number one priority while your group is on our property. Black Water Guide Service takes in revenues of over $300,000 off corporate parties and watches millions of dollars of business take place on these hunt each year. It is not our goal to nickel and dime our clients no matter how wealthy they or the company they represent may be. We simply build packages that fit the exact budget needed and give options that make the trip precisely what the company goals are aligned to accomplish. The experience and uplifted moral of your clients and employees is our bread and butter. More about the benefits of group and corporate hunts. Team building has a bad rap. In most companies when a supervisor says, “We’re going to do some team building!” employees start re-running old episodes of The Office. It’s one thing to see it on TV, but getting a real-life taste of your manager mimicking Steve Carell’s insanely-awkward-try-hard leadership style just isn’t as funny. Read more from Forbes.